I found a story that occurred some time last year. It is very amusing. And actually kind of sad after you laugh at it for an hour. Her real name is Colleen LaRose, and in between caring for her partner’s sick father in suburban Pennsylvanian; she is alleged to have put postings on YouTube in which she made herself available for any fundamentalist situations vacant. Last year she travelled to Ireland, where she met some people allegedly plotting to kill a cartoonist, before flying home and being arrested on her return. Why was she trying to kill a cartoonist? This cartoonist, Lars Vilks, had a bounty on his head from Al Qaeda for depicting the Islamic prophet Muhammad as a roundabout dog. In her case, she appeared to become drawn to Muslim extremist causes as a result of spending hours surfing the web. In June 2008 she posted a video on YouTube in which she said she was “desperate to do something somehow to help” lessen the suffering of Muslims. This week she pled guilty to conspiring to murder. 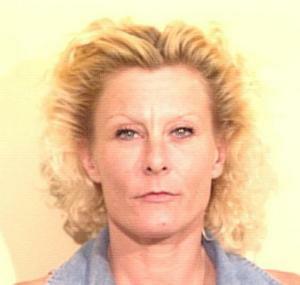 She faces possible life in prison and a $1m fine. 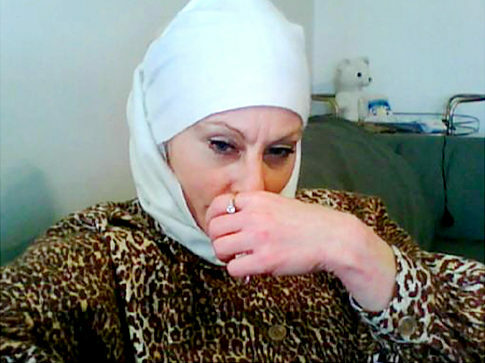 LaRose took up the pseudonym of Jihad Jane or Fatima LaRose in a series of internet conversations with other jihadists, all of which were carefully monitored by the FBI who were on her trail long before she was arrested. She also began to wear a Muslim headdress in internet photographs. I still can’t get over how she was “desperate to help the poor muslims”. Oh right, I am sure they suffer in between the constant bombings and torture they cause on people. I sure its more like mental suffering. All that weight to make the world a muslim world. It hurts! And just to cross our t’s and dot our i’s, she did confirm she was in sound mind and had voluntarily entered her plea. So on a scale from 1 to 10 rating how crazy she is, she managed to screech by with a 7! I hope she understands now that what she did has not only made her enemy to our nation but also made her look down right stupid. She was willing to die for “the cause”. So jail time should be a piece of cake. Despite the seriousness of the charges against her, the attempt by LaRose to martyr herself stood out for its naivety and lack of sophistication. The FBI were tracking her for at least 15 months, without her knowledge, and had even followed her to Sweden in August 2009 where she joined an artist’s community in the hope of getting close to Vilks. She obviously had no idea what she was getting her self into. She was just a regular woman. When the news broke, LaRose’s neighbours forewent the usual clichés about her having “kept herself to herself”, declaring instead that she talked to cats a lot. Hmmm? Cats? Where they muslim cats? The 4ft 11 inch woman was so luminously inept she’d already been warned once by the FBI before she was finally arrested, you have to marvel at Colleen’s self-delusion. I mean really, come on! Well despite the unusual and unintelligent attempt, you have to wonder why anyone would want to join forces with Al Qaeda. It seems to be happening in our own back yard. And I am glad the FBI is not taking any chances with these nut jobs. Not if you excuse me, I have to go spy on my neighbor. I have been hearing some unusual middle eastern singing. This entry was posted in Blogging, Comedy, Conspiracy Theory, Funny, Humor, Mental Illness, News, Opinion, Sarcasm, Uncategorized and tagged 2010, Al Qaeda, Craziness, How could you? !, Humor, Jihad Jane, News, Not all there, Sarcasm, What the .... Bookmark the permalink. 2 Responses to Does your neighbor talk to cats and love muslims a little too much? LMAO. What a nut job 😉 I think I have a looney or three in my neighborhood also. Everybody gets a little homicidal now and then but why fly to another country when there are crazies in your own backyard? LOL, just sayin. Def a nut job… A sad lonely nut job. Someone needs a hug.